1. Fast a meal or series of meals as an act of worship & devotion Christ and as an act of resistance to the consumerist spirit of the age. 2. To take the money that would have been spent on the meal and donate to Project 58, which helps to fund our benevolence ministries. 3. 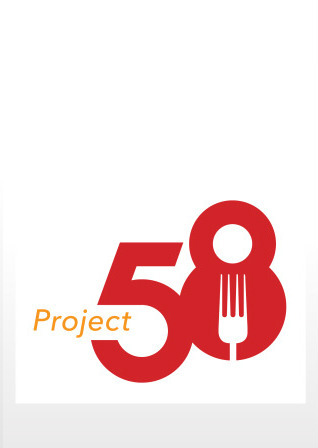 By clicking the Project 58 picture! The funds generated from Project 58 will be used to break the chains of injustice in our friendships, city, and world. This will take many forms. We may use the funds to assist with rent and utility bills, provide food and clothing, and pay for repairs to cars and to homes for the less fortunate among us.The distribution of funds will be discerned by our pastoral & elder teams. Project 58 is not a new idea, but a fresh iteration of the ancient Christian practices of fasting (Is 58), alms giving, and the ministry of the deacons (Acts 6) to widows & orphans. Historically, Christians have had a regular practice of fasting two days a week— which was typically a Wednesday & a Friday. This was also combined with the regular collection of alms giving. Alms giving is the practice of receiving funds for distribution to those who have need. This was always an act of generosity the was above and beyond our regular tithing. (See Acts 9:36, 10:2) Since the very genesis of the church there has been a commitment to the least of these as a demonstration of the outbreak of the Kingdom of God. (See Acts 2:42-45; 4:32-36; 6:1-7) Project 58 seeks to build upon these ancient practices to see God’s Kingdom come, and God’s will be done on earth as it is in heaven.